Joei McIntire's passion for design, and ability to listen and connect with a client is what creates a successful space. Combining rich colors and textures with unique details and natural elements to add warmth is her specialty. She showcases her client’s personality by transforming their house into a home that brings comfort, function, style, and beauty. The added value is her ability to understand and implement her client’s goals and needs while combining organization, creativity, and attention to detail. We're a full-line Kitchen and Bath Interior Design firm that designs and manages renovation projects in Chicago and Denver. Our services include: floor plan layout, hiring contracted services, design assessment and creation, purchases, deliveries, budgeting, including any and all implementation of materials and additional services crafted to your needs. Our created spaces are elegant, sophisticated and transitional. We've experience with every dimension of the home including kitchens, baths, closets and home decor. Whether your project is large or small, in the city, suburbs or a vacation property, we are committed to exceeding your expectations. We specialize in all facets of Interior Design, creating unique interiors for discriminating clients. Lin Lee, ASID, and her associates bring a high level of energy, knowledge and expertise making each project an enjoyable experience. You’ve worked hard to achieve success, yet you walk through the door of your home and feel deflated. Isn’t it time your home reflected your accomplishments? Custom home interiors, designed for the way you live, look better, feel better and function better. Ku Interior Design will listen to your needs to help you create a home that rejuvenates you. Owner, Michelle Ku, oversees every detail, so you can trust that your vision will be realized. There’s no better return on investment than a home that nourishes you, everyday. Open your door & be greeted with the level of luxury you’ve earned. Call Ku Interior Design at (303) 343-3418. Addison Design. Design Your Home. Transform Your Life. -- When you are planning your interior design budget, you should plan on spending 10%-30% of the value of your home to design your entire home. If you will be reusing most of your existing furnishings, plan on 10%. To replace everything it is closer to 30%. Kitchen and bath remodels have different parameters. 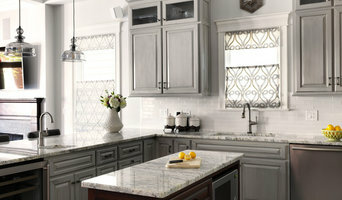 Basic kitchen remodels should be 10%-25% of your home's value and bathrooms are typically 7%-15%. Lucy Gold has a natural instinct to understand her clients needs and lifestyle to create the right spaces for them to live and yet be inspired by their surrounding, environment & architecture. Upon moving to Colorado from the east coast, she began her career working for a nationally recognized, award winning Design Firm creating unique & memorable model homes for the Nation's leading home builders. Lucy successfully passed The National Council for Interior Design Qualifications (NCIDQ) and is a professional member of American Society of Interior Designers (ASID) as well as a preferred designer with The Denver Design Center. She continues her career with Residential Design providing creative & affordable spaces while respecting the client's needs and style. The mission is to create beautiful, comfortable & functional spaces that reflect the way the client wants to live. EFB Designs is an interior design firm based out of Denver, CO. We specialize in small-scale remodels and enjoy a personal, hands-on approach with our clients. Educating clients about the design process and seeing client visions realized are two of our favorite rewards of working in this industry. Eleanor Brocato, principle designer, earned her Bachelor of Arts at Rhodes College in Memphis, Tennessee, and her Associate of Applied Science degree in Interior Design (an HLC accredited program) at Arapahoe Community College in Denver, Colorado. Eleanor’s European travels and Southern upbringing have greatly influenced her sense of style, giving her a sincere appreciation for classic architecture, natural and raw materials, local textiles, and art of all kinds. D2D Studio is a full-service design boutique, providing a balance of exuberance and elegance for your interior residential and commercial spaces. We specialize in adding unobtrusive style within any budget, mammoth or miniscule. We don’t just help you keep up with trends, we ensure you surpass them. Whether you’re looking for advice on a new paint pigment for your business, want to renovate your entire home, or plan to build one from scratch, D2D Studio has the foundation and expertise you seek. Seamlessly integrating existing furnishings, collections, and photos, with carefully selected window and floor coverings, new furniture additions, organic lighting design, and artwork, D2D Studio finds a natural fit for your expectations. We fashion both commercial and residential spaces, and our designers have proven experience in providing services for residential, hotel, bar and restaurant, retail, offices, and tenant improvement. We curate like chameleons: our style of design will adapt to compliment your tastes. We’re able to work collaboratively or take complete control, depending on your individual needs, and we always deliver a finished, cohesively-designed space that will encourage everyone who enters it to feel at home. Momo's design inspiration comes from living life: whether it's traveling the globe, or hunting in a flea market, absorbing the richness of noble materials and the craftsmanship in a historic resort, or appreciating the colorful vivacity of inner-city graffiti. She feels great design is ubiquitous, and that it takes a curious mind and a watchful eye to appreciate the inspiration and to reveal its meaning. I am a person with a passion and great appreciation for design and how I can help make my inherent talent work for the person who doesn't have that same ability. I see balance the minute I walk into a room and view color, lighting and accessories as a way to help make a room reflect who you are and the feeling you are wishing to create. Shannon Murphy Interiors as well as Shannon is the Senior Designer for "The Showroom" in Denver, CO.
Our goal at Marlowe Lane is to empower people to create beautiful, practical, and unique spaces in their homes. We believe that everyone deserves to love the home they are in. We offer full service interior decorating design and residential real estate home staging in the Denver Metro area. Leah B Interior Design is a full service design firm located in Aurora, CO. From remodels to decor placement, we are here to help you with all your design needs. Give us a call today, we would love to hear from you! Eiko creates a sanctuary of timeless beauty and quiet simplicity. She achieves this with over 25 years of experience in Interior Design and selected methods of Eastern and Western Healing Arts, specializing in Feng Shui. Her exceptional " Omotenashi - Japanese hospitality" spirit and commitment to excellency assures to bring Ease, Joy and Contentment to her clients. Eiko blends over two decades of experience as an award winning interior designer with the ancient art of Feng Shui. She uses these combined skills to assist her clients in creating the most balanced and harmonious environment possible. eco urban design is locally owned and operated in Denver, Colorado. We are a team of creatives: designers, builders, innovators and puzzle solvers. Together, we share a common purpose within our industry — an intense desire to revive, enrich and create down-right awesome living spaces for our clients. We are here for three primary reasons; because we love what we do, because we idealize the concept of pursuing creative dreams and ultimately because we believe in our ability to transform living environments into sacred spaces that reflect the owner’s personality and enhance the lives of those contained within them. eco urban specializes in interior design, residential remodel, kitchen and bath remodel, and landscape design. Often, we are inspired by Colorado’s beautiful environment and therefore offer sustainable solutions that blur the distinction between the indoor/outdoor environments. We pride ourselves in developing strong client relationships and trustworthy vendor alliances that continue to thrive throughout the years. Great design is more than just skill and creativity; it’s also collaborative communication and professional follow through. Listening is one of our strong suits, as evidenced by our growing team of talent and our many happy client reviews on Houzz. Carol Freedman's design aesthetic can be appreciated in homes around the Washington, D.C. metropolitan area, including Chevy Chase, Bethesda, Glen Echo, Potomac, Takoma Park, and Northwest D.C. With a deep respect for each client's lifestyle, personality, desires and preferences, Carol Freedman Design aims to create spaces that are warm and color-filled, family-friendly, and a delight to live in. 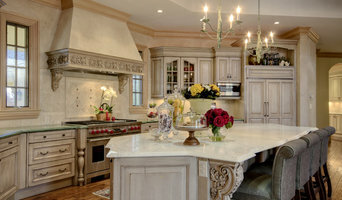 Carol Freedman Design has worked with residential and commercial clients since its inception in January, 1994. While her work speaks for itself, her clients will attest to the fun and collaborative atmosphere that abounds as Freedman works with them to create new interiors.